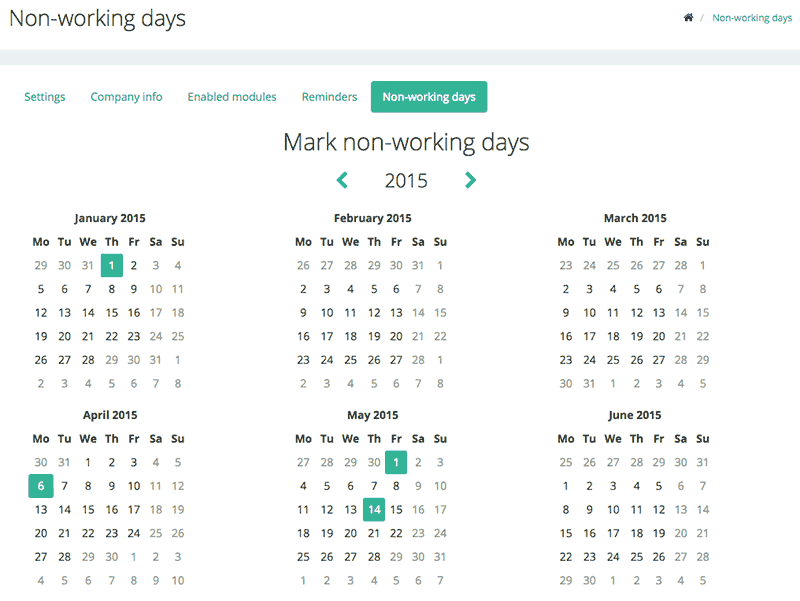 For every employee it's also possible to set a work day hours in their profile. To do so you can open the new button next to their name. This is currently only visible for administrators. Next you'll get the option to enter time periods where employees aren't working. 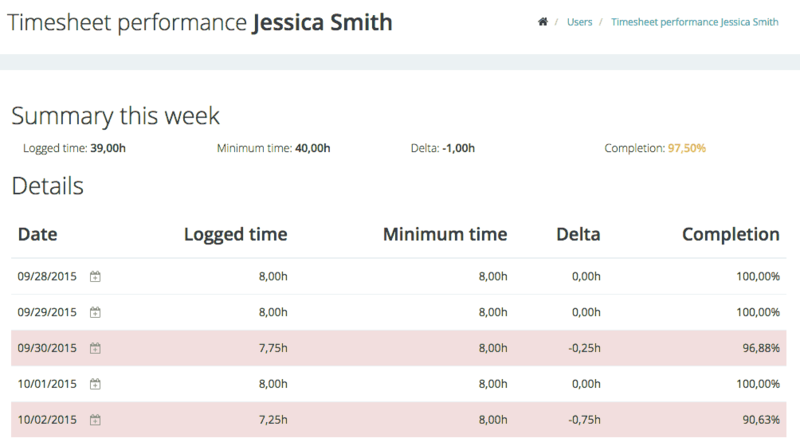 By entering these data we can get a clear view on the number of hours everybody is supposed to log. Important to know is that in the user profile a new field has been added: hours per day this field defaults to 8 hours. 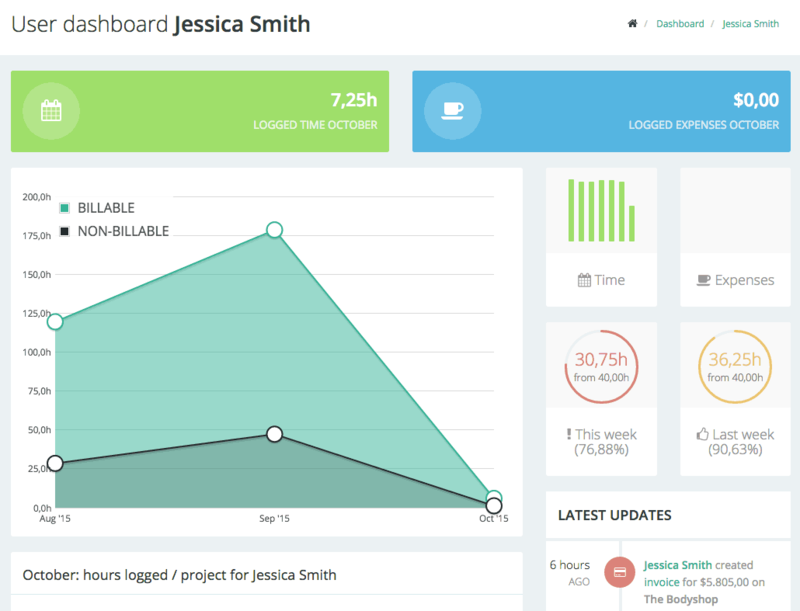 After configuring this, all users will get 2 new widgets on their dashboard. The timesheet compliance indicator shows how much of the current and previous period was logged. Clicking on these new benchmarks will open a new page where users can get an overview of the days that are incomplete. It's also possible to directly go to the timesheet page to add timesheets in order to complete them. 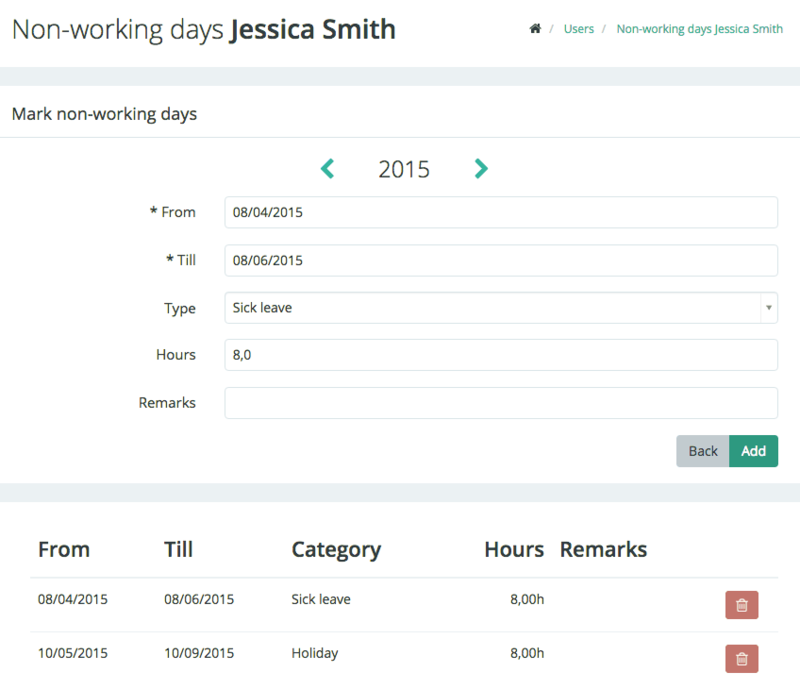 Enjoy this use functionality and never forget to fill in those timesheets again! If you would like to use any, go can activate them by going to the settings screen of your company and enabling them. Only after that the new screens will be available. Happy to hear your thoughts on this new functionality.